As summer comes to an end, it’s time to make the most of the bumper crops of summer fruits by making jam. 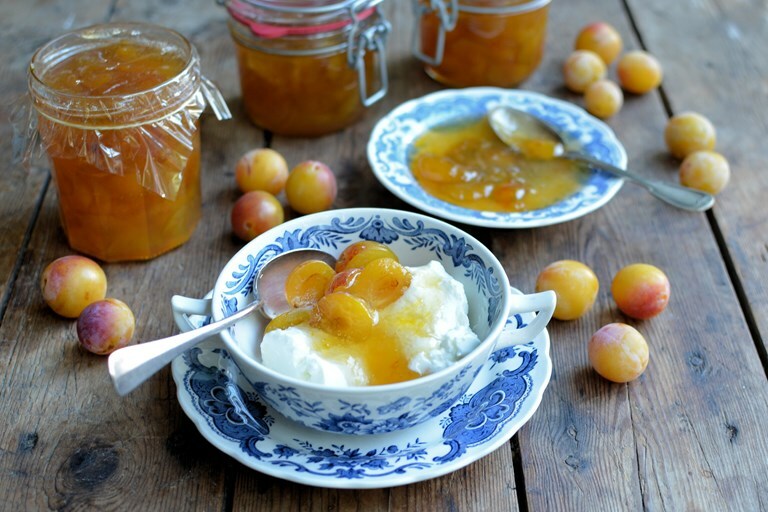 Karen’s Mirabelle plum jam recipe makes a delightful preserve as it is, but she also recommends a way to use vanilla in your recipe. This is a classic jam recipe from the Lorraine in the North East of France, also famous for its quiche recipes! It’s made with Mirabelle plums, which are small, sweet plums with a yellow to rosy pink skin and a soft bloom to them. 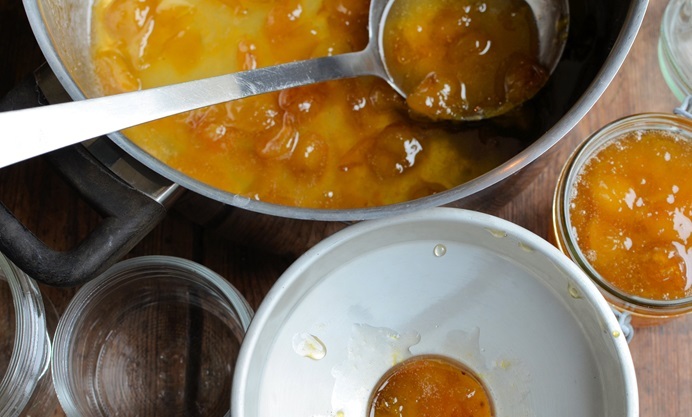 It’s an easy jam to make and if like me you are lucky enough to have a Mirabelle tree, then now is the time (July and August) to be making this delicious golden jam. To ensure a firmer set, I always add the juice of a lemon to my jam as this adds a little bit of extra pectin and the set is a little easier and quicker to reach. Try to use ripe and unblemished fruit, although fresh windfalls are fine if the ants or beasties haven’t got to them yet! They are sometimes called ‘cherry plums’ as they are very diminutive in size, but certainly not in flavour. 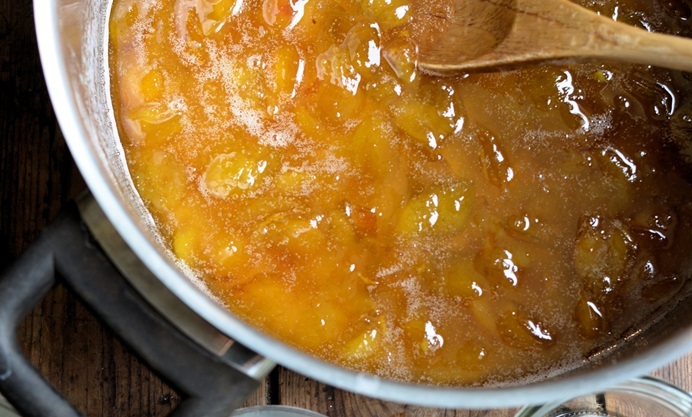 In certain old French recipes I researched for Mirabelle jam, they suggest adding a couple of vanilla pods if you decide to macerate the fruit with the sugar and lemon juice overnight. I love vanilla in jam and use it regularly. It’s a wonderful idea for a change of pace, although it may be nice to make a batch of each, plain Mirabelle and vanilla Mirabelle jam. This recipe makes 3kg of jam.